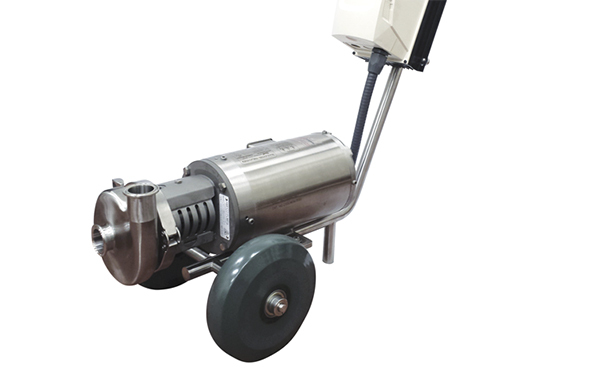 The Ampco Cellar Cart is most commonly used as a transfer pump or portable CIP pump. It’s lightweight and designed to provide users with maximum mobility in cramped cellars. This robust 2-wheeled cart, features a corrosion-free 304 stainless steel frame, polypropylene wheels, and NEMA 4X VFD. 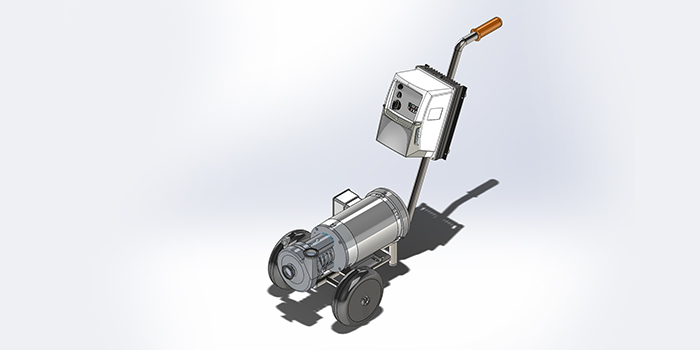 Carts come in two standard models, equipped with the popular Ampco AC+ pump. 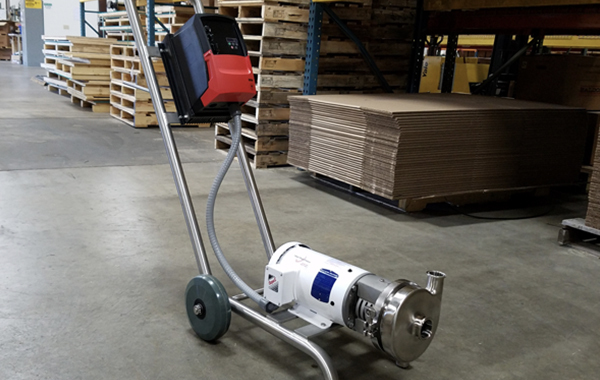 The Ampco AC+ pump featured on the Cellar Cart is built of 316L stainless steel and includes a 304 stainless steel adapter, making this centrifugal workhorse nearly corrosion free. The AC+ engineered innovations include a threaded stub shaft with acorn nut and shaft collar – ensuring a more balanced and stable pump performance leading to increased seal life. 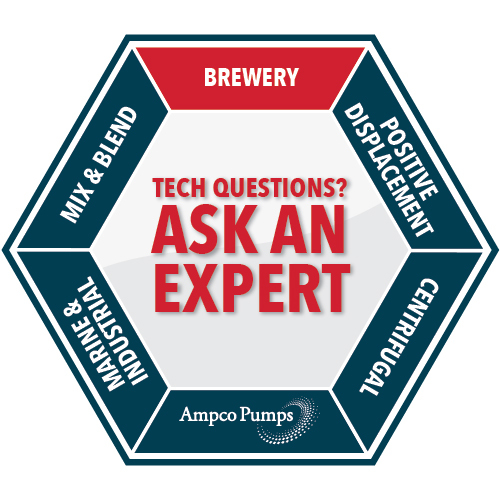 An optional CB+ seal is available for carted pumps focused on whirlpool or knockout. 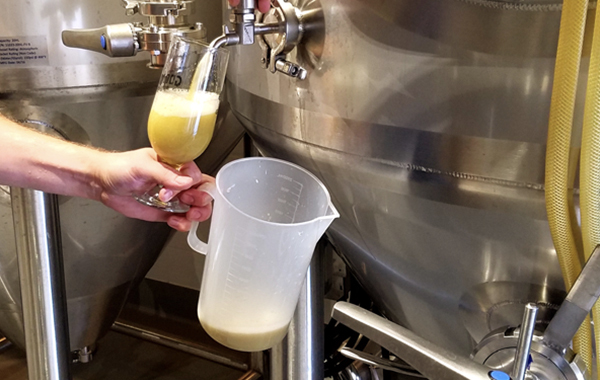 This internal seal has been specifically designed for craft brewers to promote cooling and further enhanced seal longevity. See CB+ product tab for additional information. Contact Ampco’s inside sales team for additional options. 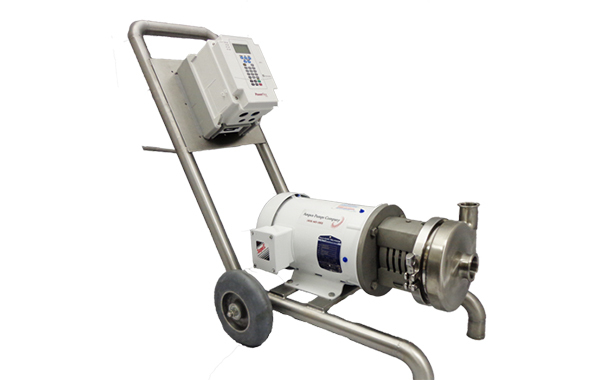 The Cellar Cart for Beer & CIP can be customized to include any of Ampco’s positive displacement pumps, shear blenders, and more. 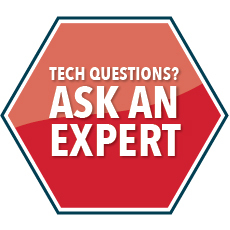 Ampco’s standard delivery timing is unmatched – only 2 weeks. Call today!